This is the first of the nine that I can't say I've personally (yet!) experienced. I do believe that I have seen an angel, on at least one, maybe two, occasions. But they didn't say anything to me very profoundly, so this time I'm not going to draw examples from my own life, but reflect through the stories of others the very real way in which sometimes God chooses to send a messenger to us to share some news. In this one story alone, the angels appear on many separate occasions. There is the first appearance to Zechariah (Luke 1:11-20), then to Mary (Luke 128-38). This is followed by the Shepherds (Luke 2:9-15). I like the verse in Luke 2:21 that says: "On the eighth day, when it was time to circumcise the child, he was named Jesus, the name the angel had given him before he was conceived." Angel in Greek means messenger. As we see here, the message was clear and understood! 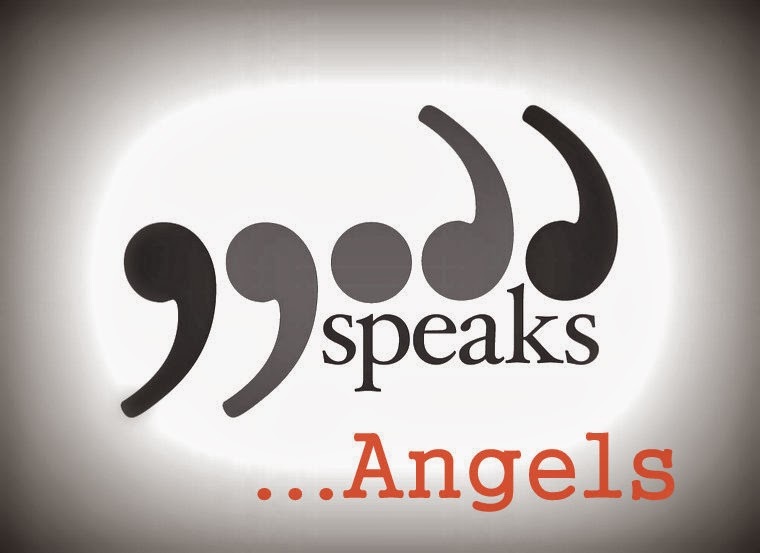 And it tells the overall theme - the theme of this series - God speaks! Angels appear throughout the whole Bible - from the Old Testament, when we are told they appeared from anything such as a donkey to a night wrestling with Jacob, all the way through to the New Testament - as like with Jesus' birth, so it was with his death that angel's were there to share the news - first that he was no longer in the tomb and once again when he'd ascended to heaven. Each time passing on the message - the Saviour of the world has come. He's not dead - he's risen and now is reigning. King's of the world have come and gone - they have ruled with power and reigned for maybe fifty years (if they were lucky!). Jesus came and ruled with love, and reigns for eternity. The contrast is clear - and angel's were central in bringing this important message home. The world needed to be clear - The King had come! Now let me say one more thing about angels. The world famous singer Robbie Wiliams once sang a smash hit song "I'm loving angels instead." This is not their role, nor are we to focus on them. They are messengers, and by spending too long in conversation about them, we forget the message - that Jesus is the Christ. He is God. That anyone who believes in Him, can have eternal life. People love the spot light. We (often) love to be centre stage - and yet, on our own, we cannot solve the issue of sin and death that we are born into. The message of Christmas, and then 33 years on at the first Easter, is that the spotlight is not on us - it's on Jesus. And what Jesus did was done once and for all. Our part is nothing - it's all about what he HAS done - past tense. No need to continually pay anymore - He paid once and for all. It cost him his life but He died for you. It really is finished! And it's a rather amazing message to have been given to us - where-ever you first heard it from!